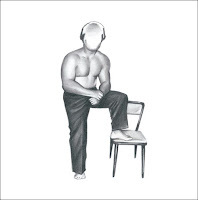 Atlas and the Anchor: Deerhoof - "Offend Maggie"
Today marks the release date for Deerhoof's latest offering on Kill Rock Stars, "Offend Maggie". Through the abrasiveness and dissonance--which with every new album there is less of--Deerhoof puts their "hoofprint" on pop. I am not saying they have totally went pop, but there is an undercurrent of melody, and fun that makes it an enjoyable listen. The last song on the album is titled, "Jagged Fruit" and that pretty much sums up the Deerhoof sound. Spiky and sweet. With the addition of new guitarist, Edward Rodriguez, the contrast of Townshend-like power chords and nimble acoustic guitars makes the title track interesting before the vocals join in telling of a telemarketing love unrequited. On "Basket Ball Get Your Groove Back", Satomi sounds like a Japanese Kimya Dawson, as she sings from the basketball's perspective. It sounds strange and it is, but try not to sing along to lyrics like, "bunny jump, bunny jump". "Fresh Born", with it's mountainous bass line shows off Deerhoof's brand of jittery dance-funk. "Offend Maggie" is Deerhoof's most straightforward and accessible release. With that said, who knows what to expect next. And that's the best part. Land Of Talk - "Some Are Lakes"